The Cons of Formant are a Folk Rock / Americana band from Little Rock, Arkansas. After releasing their first self-titled album they released their second album, Tributaries, and are exciting to share their live music with all music lovers! 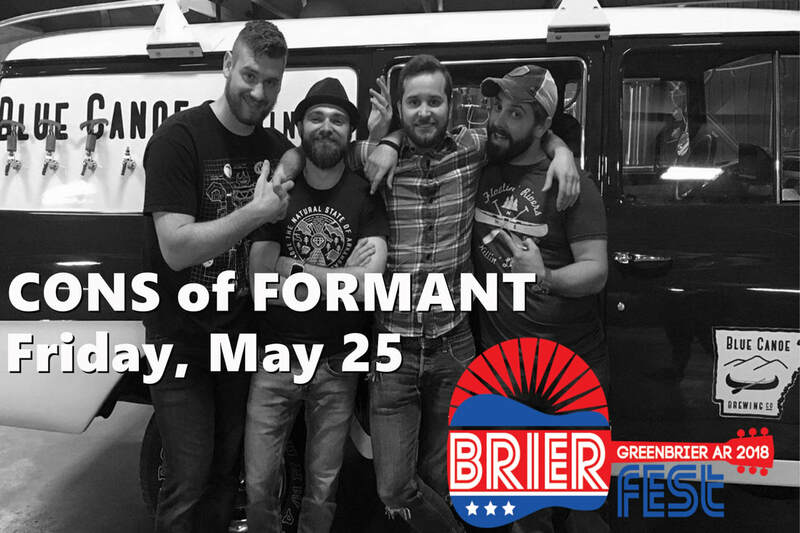 Combining backgrounds from old soul-filled hymns to rock & roll, blues to bluegrass, The Cons of Formant have established themselves as a core part of the Americana & Folk Rock movement. Their diverse blend of styles has created a beautiful balance of sound that is uniquely their own. After releasing their debut self-titled album, "The Cons of Formant," The Cons began work on their sophomore album, "Tributaries." This second album intentionally combines influences from their diverse musical backgrounds, personal life experiences and the reflections of their own journeys to create something true and unique. "Tributaries" was received with overwhelming support and continues to gain momentum. Both albums are for sale in hardcopy or on iTunes, Amazon and Google Play.